Growth, change, and life in general has time periods that can occur as painful, overwhelming, isolating, and discouraging. Changing perspective, and finding strength during difficult times can seem like a daunting task on top of what is happening inside, and around us. We as humans have the tools within us to not only survive obstacles in life, but to grow and thrive from those hurdles. Sometimes, we simply need connection and someone to help us uncover the strengths within, someone to empower us to create changes within ourselves, in order to create the change we long for around us. 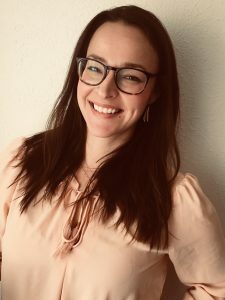 Rachel collaborates with her clients to create an individualized treatment plan; as a Certified Trauma Practitioner, Rachel will integrate trauma focused interventions, CBT, expressive arts, mindfulness skills, interpersonal skills, self-worth skills, emotion recognition and expression skills, and communication skills. Rachel believes in creating a client and counselor rapport that is based on trust, compassion, genuineness, and solidifies the foundation for her clients to begin growing and seeing the positive changes in their lives they want to occur.